This cowboy's first birthday was really something to hoot and holler about! Party goers saddled up and settled in for one heck of a party. 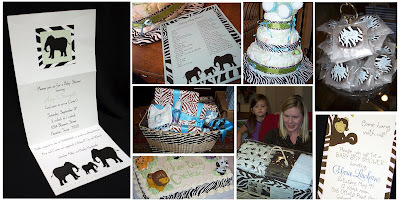 The birthday boy's mom is a party-planner extraordinaire, dear friend, and the creative mind behind her own party blog (click highlighted links to visit)! We were pleased as punch to contribute to celebrating this little partner's big day! With the custom monogram we created making its appearance even down to the topper of the cake, this is what we'd call a well "branded" event! All the stops were pulled out to make sure this was something to hear about back at the ranch! 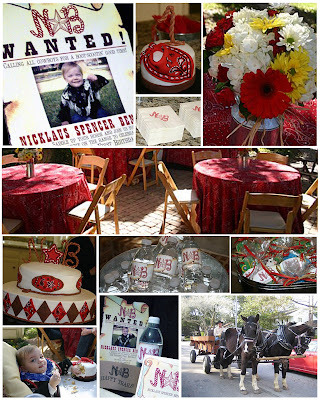 The invitations, napkins, water bottles, favors, and thank you notes all helped set the tone for this western get together. After a helpin' of barbeque, all the ranch hands and cowgirls were treated to a horse drawn hayride as the sun set. 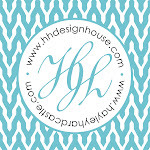 Happy Trails from HH Design House...and don't forget to check out P is for Party for more pictures and awesome tips! Abby and Ryan were joined together in marriage during an exquisite wedding held in Fort Worth, Texas. Following a church ceremony, the reception took place at Ashton Depot in downtown Fort Worth. 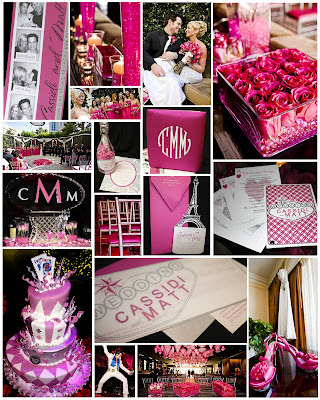 We were thrilled to be involved in making their big day a day to remember! 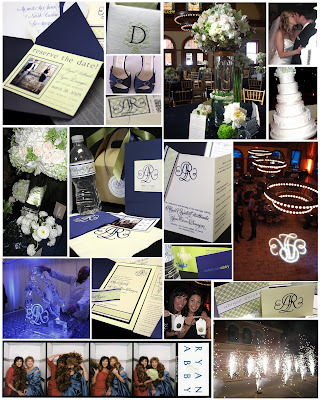 This event exuded understated elegance with flower arrangements of different white flowers in varying heights, a frothy white six-tiered wedding cake, and the personalized logo created by HH Design House was seen everywhere...right down to the ice sculpture for the water luge. Fitting with the classy tone of this celebration, the couple chose the timeless favorite "It had to be You" for their first dance. Stardust to Soul, and even a little "Single Ladies", guests cut a rug to the sounds of Icehouse and played in the photo booth until nearly midnight. The couple left amidst a pyrotechnic show in a horse drawn carriage. We wish you the best Abby and Ryan. 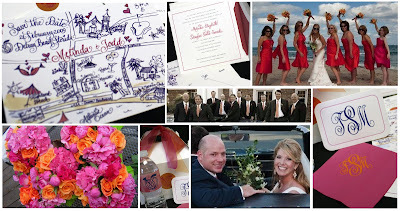 May your marriage be characterized by the same energy, love, beauty and fun your wedding was! Shower Invitation, Bachelorette Party Invitation, Save the Dates, Wedding Invitation, Water Bottles, Postage Stamp, Napkins, Programs, Album, Personalized Logo, Welcome Boxes & Stickers, and Thank You Cards. We were honored to be a part of this Summertime celebration in Galveston! 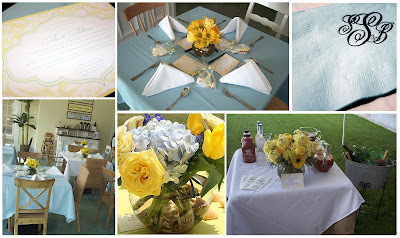 The Island disposition of sunshine and oceans was really captured in the sunny yellow and soothing blue color scheme. The complimenting colors (a favorite of HH Design House's LG) were demonstrated in every aspect of this sweetly southern soiree. No detail was left untouched...from the invitations, lovely flower arrangements, coordinating linens, personalized beverage napkins, right down to the invitation matching advice cards at every place setting. The Sugar Bean Coffee and Cream, located in Evia, was a perfect venue to celebrate this Mommy-to-be. Thanks for letting us share in toasting this new arrival!